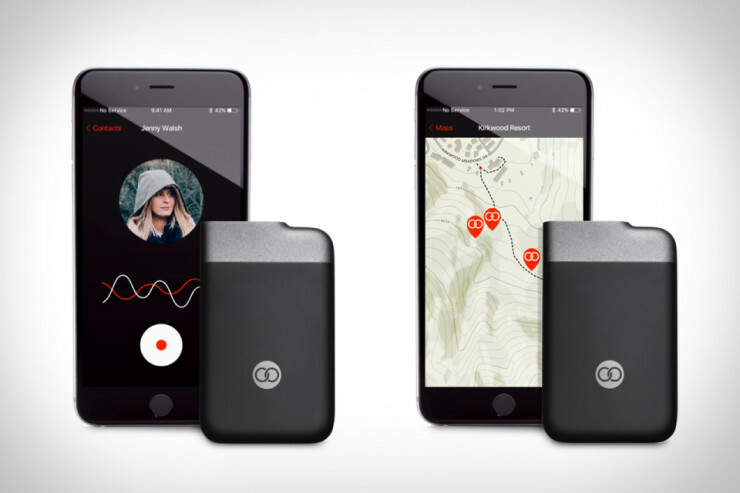 Beartooth Is Like A Walkie Talkie For Your Smartphone | OhGizmo! By David Ponce on 03/09/16 • Leave a comment! When you’re far from civilization, you lose a lot of privileges, like the ability to use your cellphone due to lack of signal. If you want to be able to stay in touch with your friends on your expedition, you can use traditional walkie talkies, which use their own radio waves to communicate. But… that’s a little old-school, isn’t it? Beartooth uses radio signals, but first pairs to your smartphone through Bluetooth. In this way, you can still use your smartphone to make calls, text, and even send location data to each other from as far away as 10 miles. Well, 5 miles for talking, and 10 miles for texting. Still, that’s pretty darn far when you’re in the wilderness, and can come in handy in more ways than one. Each user will need their own Beartooth, of course, but with a 4 day battery life there’s a pretty good chance your smartphone will run out of juice before it does. It’s $99 for 1, and $75 for two, if you pre-order now to take advantage of the 50% off full retail pricing.